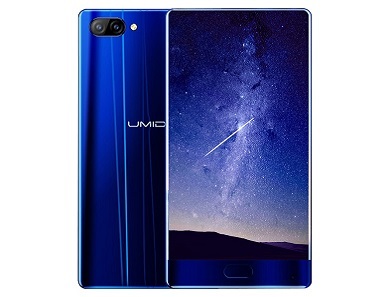 UMIDIGI Crystal is a 5.5-inch beze-less smartphone, Though it's not 100% beze-less, but it lack bezels on three sides and will come in two version - One with all metal edition and the other with a dazzling blue Lumia edition. In terms of UMIDIGI Crystal specs, it comes with two different processors - the Lumia edition has a Snapdragon 835 processor while the all metals edition has a MediaTek MT6757T Helio P25 processor. And of course, the Crystal also come with 2 GB / 4 GB / While the Lumia edition has a 6 GB. Below is UMIDIGI Crystal specifications and price we have, we will update this thread once will have our hands on other specs when it's launched.